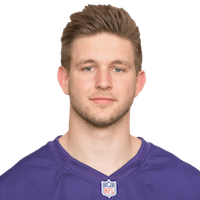 The Ravens waived Acklin (undisclosed) with an injury settlement Wednesday. Analysis: Acklin initially reverted back to injured reserve, but it appears the two sides have agreed to part ways. Acklin will be free to pursue other opportunities when healthy. Acklin (undisclosed) cleared waivers Tuesday and reverted to injured reserve, per the league's official transaction log. Analysis: Acklin was having a solid training camp, so the Ravens may opt to allow him to heal versus reaching an injury settlement. Acklin (undisclosed) was waived by the Ravens with an injury designation Monday, according to the league's official transaction log. Analysis: This is a disappointment, considering Acklin was starting to impress in training camp. The rookie will revert to injured reserve if he clears waivers unclaimed. There are no videos available for Jaelon Acklin. Click here to view all videos.